Being a fan of the manga ever since 2017. The tendency of pursuing this anime adaptation got me over the hill. Not only as manga fan in general but a mere Seinen Lover, although as from an anime viewpoint alone. You can’t exactly relate both except for the story fundamentals, of course. 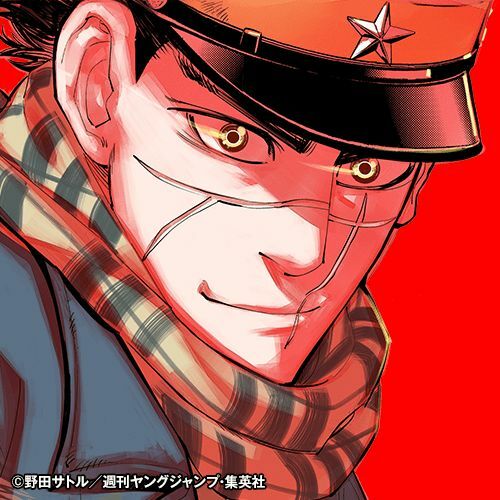 Putting that aside, let’s go into this Golden Kamuy episode 1. A solid start was witnessed. The image of soldiers during the Japanese/Russian war presented a portion of realism and dynamics. The Immortal Sugimoto, as quoted in this anime very first moments. A soldier that was outstanding during the war between Japan and Russia due to his immense tenacity. Hence why he was known for his nickname “Immortal Sugimoto”. 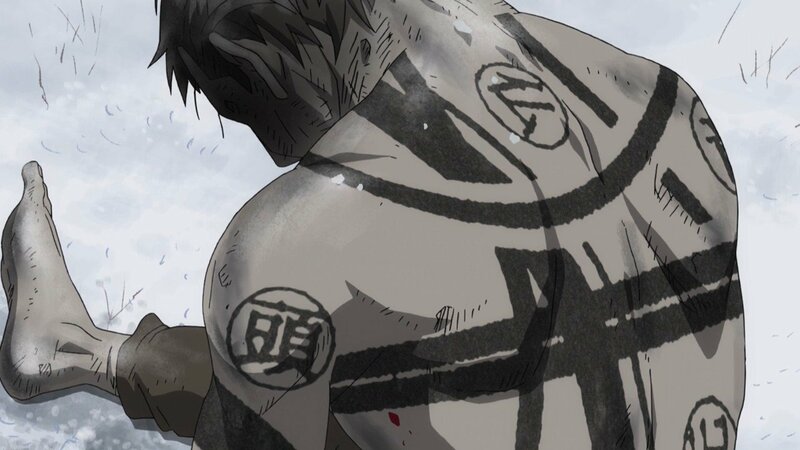 As any Seinen anime, the action must be fluid, including the weight upon the on the exquisite fights. Most kills by our protagonist Sugimoto. Hastily afterward, after many years passed from the war. The protagonist Sugimoto approaches a river with an unusual composition as he was absorbed into the River. At first, it would seem like he was attached to catching rocks. Yet the reality is, he was pursuing gold for himself. That’s some sort of a bizarre event that rarely is witnessed, if ever. On his side, there is an old man. Being known to Sugimoto for his dismantling tales. One about a bear that was supposed to be extinct and the other. 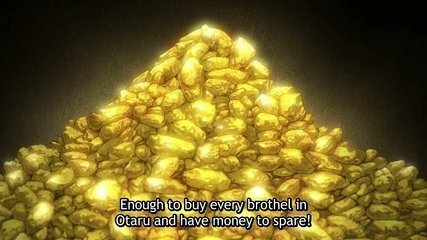 The most recent tale about a person who found a large gold to his assortment. But it never lasted too long. Since that person himself got thrown into a prison due to his treason for some reason. It’s revealed in a more detailed setting that he tried to gain a passage of information through letters. That would provide him aid in his outer ambitions. Still, it proved only to be a mere failure. Because the guards always never let his letter go through. So he decides to do something completely out of the blue. That being to put codes on the prisoner’s bodies. Giving them hints on where that treasure could be. Perhaps purposely allowing them to go for it. I say this for one reason, later on, that tale. It’s revealed that when the prisoners breakthrough the prison on an portrayed expedition. They decide to unleash several attacks on the guards killing them in that result. But in that scene. We see a major smile coming from the one that found the treasure and began all this. So perhaps it was planned to begin with? The Tale ends there as the old man starts to sleep due to his drunkenness being over the top. Which leaves Sugimoto in a doubt on whether or not to believe such thing. Sugimoto also falls asleep. On his dream, it’s shown a flashback to where he and his best friend were having a serious talk. His best friend described the weight of his ambition, it was heavy. That being, the desire to get into America to fix and cure his wife’s vision. Because he didn’t want to let his wife a widow while leaving her blind. Which would result in raising a child that she might not see again? A bit touching, yet only to be shattered due to his death. As his body fades away from the scene returning us to Sugimoto. Following a trail of Snow, the protagonist encounters the old man buried in a massive pile of snow. He wonders as to why he is even there, not realizing his true state. Trying to get him out of the snow, yet when he does he sees a vast hole ripped in his stomach. Issuing that his body parts were eaten, mainly stomach. The protagonist still trusts on his intuition, doubting the occurrence of a bear in the zone. Although it was evident that it was the case. As he integrates the fact that there was a baby bear on a tree. Portraying the potential existence of a mother bear in the zone. And, so happens as she charges right after him. Now. 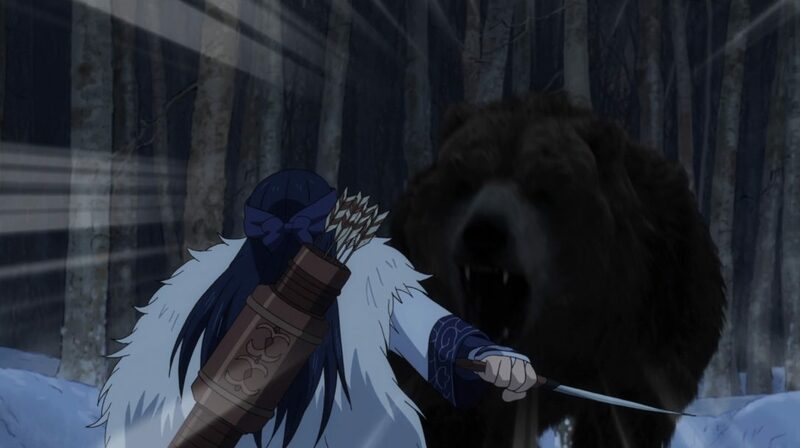 The obvious thing when we saw the bear was probably the most disappointing thing about this episode. I’m sure if you watched it. You are beyond aware of what that is. Still. I’ll discuss that later on. Sugimoto says that he fought soldiers during the Russian war. Not bears. What I liked here was the realism. It’s common sense that a bear has unparalleled strength when compared to a human. Such is shown as the Immortal Sugimoto struggles to find his way out of the lethal outcome of this battle. Luckily for him. A character appears. 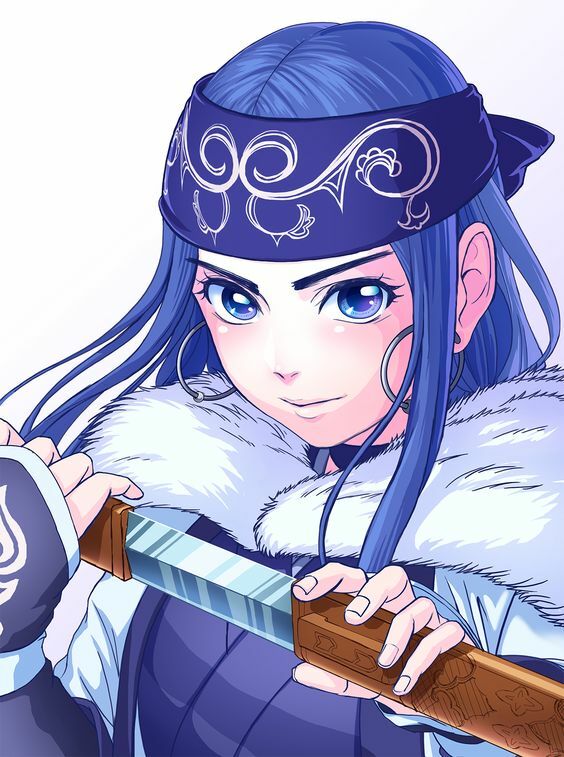 That being Asirpa. A girl that probably his a minor in terms of age. But a hunter in terms of a skirmish. While her entrance might have sounded like something truly special perhaps. It didn’t do much. In the end. 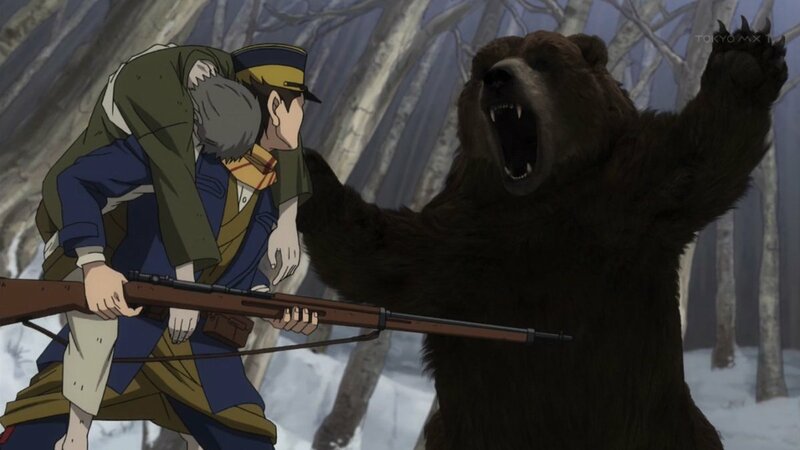 Sugimoto took care of the bear one versus one. With the help of Asirpa. Which was helpful in a sense. After that skirmish, Sugimoto explains the tale of the gold treasure. As he tries to convince Asirpa to help him on his quest. This is a good viewpoint for me. He realizes his limits and so asks a hunter to help him out. To know where you can stand and where to not. That’s a valuable lesson that I always treasure. A good point made out on this Golden Kamuy episode 1. Furthermore, it takes us to the end of this episode. With questions such as.Why he put codes on the prisoners. what was he trying to achieve with it? And, where is the treasure hidden? I’ll assume that it was the opening, at the end of this episode. If so, it has quite the elation into it. It’s not jagged at all. Which has me surprised. Considering the main bad point about this first episode. That might have just doomed this amazing seinen to the utter gutter. 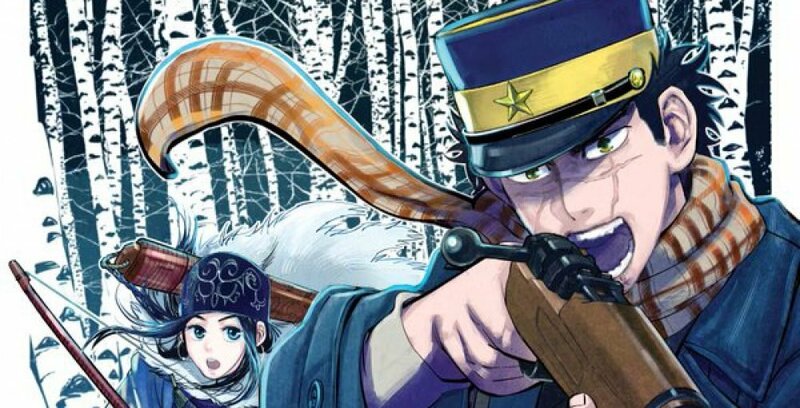 While possible destroying any good views on this Golden Kamuy episode 1. That being, the CGI graphics. In my opinion, this was so unnecessary. It was evident the moment we saw the bear. It looked so jagged. The movements are so sloppy that it brings absolutely no value to this series whatsoever. It leaves no remarks. While only making the viewership drop even harder. Considering the epic events the manga has to portion towards this anime. Such a disappointment truly. If you take aside this major problem. The plot itself has a true direction to it. That’s a good point about this anime so far. Also, the protagonist seems to have epic character potential. So that’s a good trait for this Golden Kamuy episode 1. Studio Genos. For more information about them. Click here! 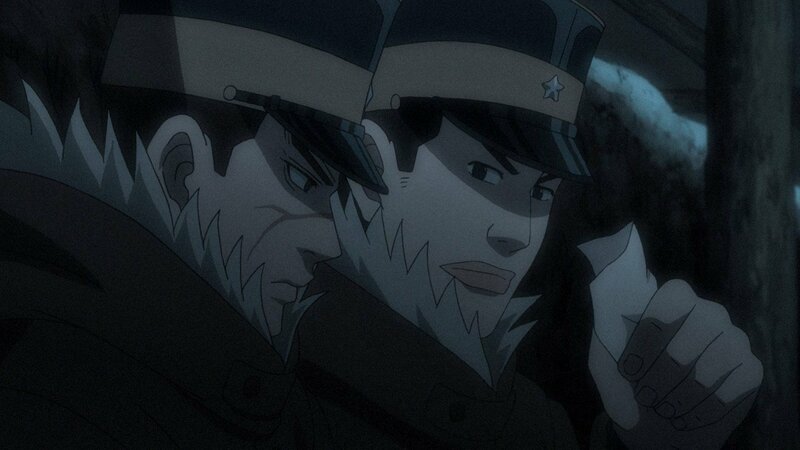 So if you have any thoughts on this Golden Kamuy episode 1 as well. Do share down below. I’ll gladly read them! While you are on this Golden Kamuy episode 1. Do consider checking this out!